Over 240,000 products with photos. When you search for a food, our results show a photo or logo of the product. 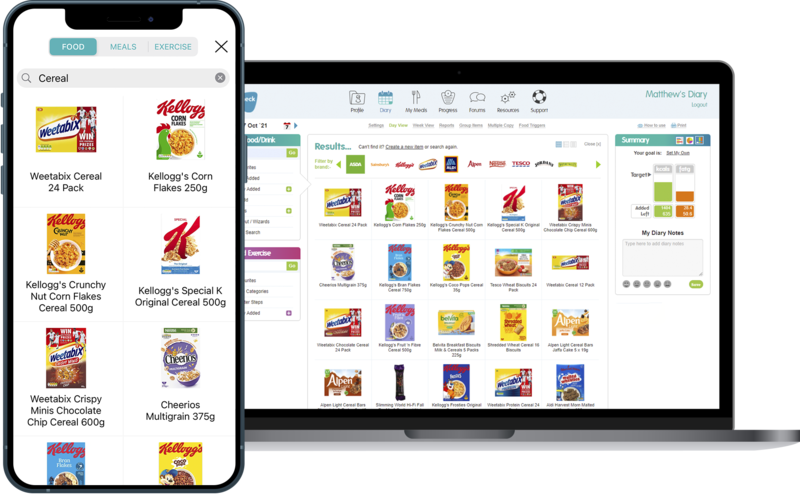 With over popular foods in our database, it's so much faster to spot the product you ate. And we're continually checking data quality and adding new products - it's not something we rely on our members to do. Want to eat less sugar? Trying to curb the carbs? 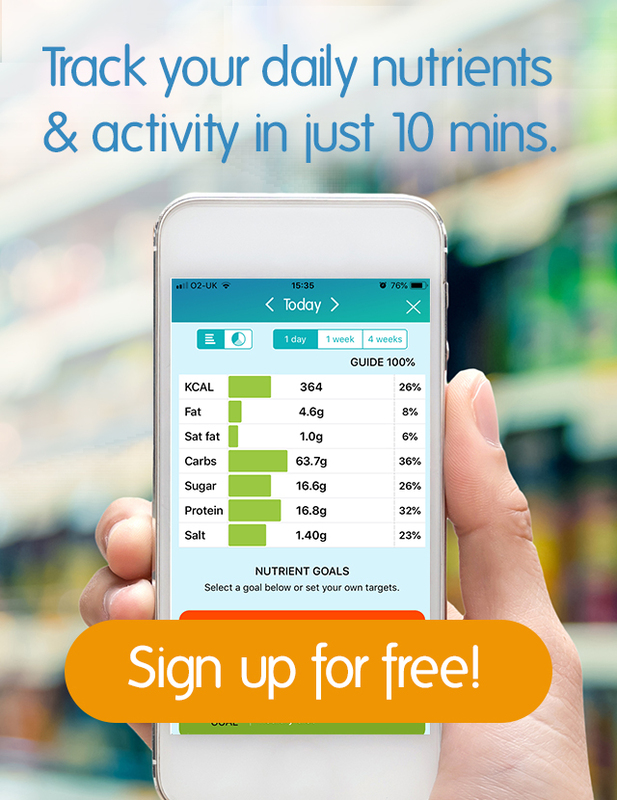 Nutracheck tracks sugar, carbs, protein, fat, saturated fat and salt - as well as calories. Choose what is important to you and customise your food diary. Keep track via the App or website. Take the guesswork out of home cooked meals and your favourite recipes by using the Nutracheck recipe calorie counter. Enter the ingredients into this handy tool and we'll tell you the calorie and fat content of your recipe as a whole, and per serving. Then add to your food diary with one click and save for next time in your personal recipe book. Almost everything we do burns calories, so we've also included activities we know you'll be comfortable doing - like fitness DVDs, Wii Fit games and household chores. They're included in the same simple interface as your food diary. Members who use the forums have more success losing weight. It's probably a combination of reporting back on your diet progress, getting lots of encouragement, and knowing that you are helping others too. All of this is very motivating. 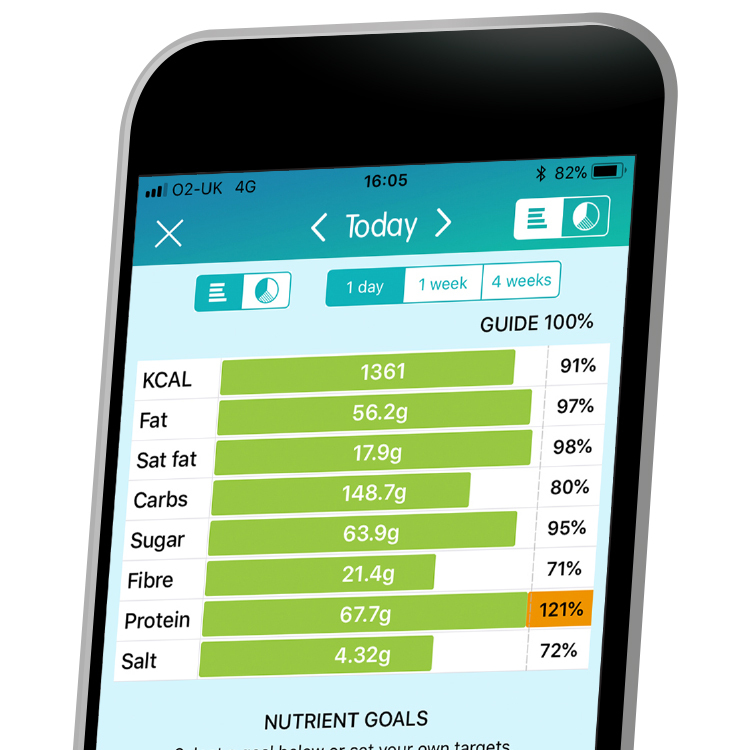 If the last report you had was at school, take a look at our food reports which give you personalised updates from your food diary. You can choose what information you want whether it's the number of calories burned, or your top 10 low fat foods, it's all there.